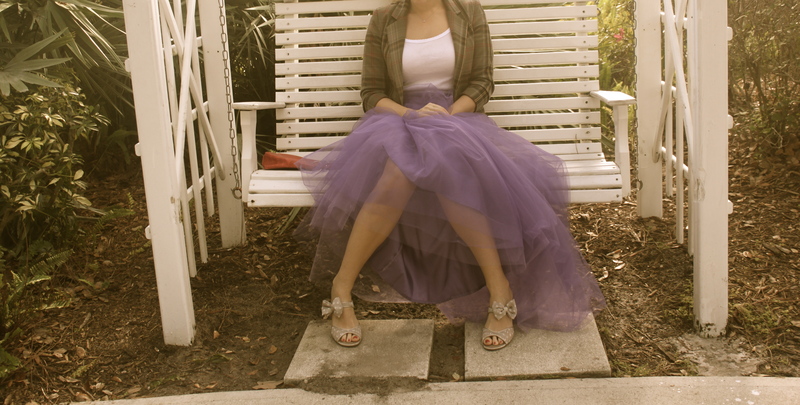 I love tulle skirts because they are so romantic! I wanted to go for an edgier more modern look, so I added the blazer and crop top. I’m wondering where you got your great purple tulle skirt? I’ve been looking for a long tulle skirt in a similar shade! Hi Rachel-I wish I could help you but that skirt is, no joke, over 15 years old and I got it a Loehmann’s on a crazy sale! I am obsessed with tulle skirts and if I see any long ones that are similar I will let you know! Good luck!! also check out my link at the bottom for similar skirt-it’s not as long but the color is dead on!